This year's Tom Howard/John H. Reid Short Story Contest will award $5,550 in cash prizes. Enter now at http://www.winningwriters.com/tomstory. We are looking for the authors' ability to make their subject matter come across to the reader with the utmost in power and emotional appeal. It's last call for entries in this year's Tom Howard/John H. Reid Short Story Contest. All varieties of short stories, essays and other works of prose are welcome, including previously published work. Prizes of $3,000, $1,000, $400, and $250 will be awarded, along with six Most Highly Commended Awards of $150 each. This contest is sponsored by Tom Howard Books and assisted by Winning Writers. All entries that win a cash prize will be published on the Winning Writers website (over one million page views per year) and announced in Tom Howard Contest News and the Winning Writers Newsletter, a combined audience of over 40,000 readers. "Last year's submissions for the Short Story Contest were easily the best ever received," says final judge John H. Reid. "In fact, the judges ended up with well over one hundred entries on the potential prize-winning list. After fruitlessly endeavoring to pare this list down to a more manageable level, the judges decided on a different approach, namely to judge the entries purely on their emotional appeal. After all, why do most people read stories? To marvel at their precise use of English, or the clever way in which adjectives are employed, or even the sparkling brilliance of their clever dialogue exchanges? "After four readings, the judges read all the entries yet one more time, but on this occasion we were not seeking to evaluate the writing itself, but the authors' ability to make their subject come across to the reader with the utmost in power and emotional appeal. I encourage this year's contestants to read the winning entries here." This year's contest has a postmark deadline of April 30, 2013. The reading fee is $16 per entry. Entries are accepted online and by mail. For the complete guidelines, please visit WinningWriters.com. The Tom Howard/John H. Reid Short Story Contest is one of several contests hosted at WinningWriters.com. These include the Sports Fiction & Essay Contest, the Wergle Flomp Humor Poetry Contest (no fee), and the Tom Howard/Margaret Reid Poetry Contest. Contest sponsor and final judge John Howard Reid is a former journalist and magazine editor who has published several novels and collections of poetry, a guide to winning literary contests, and fifteen books of film criticism and movie history. He lives in Wyong, Australia. Mr. Reid is assisted in the judging by Dee C. Konrad. A leading educator and published author, Mrs. Konrad was Associate Professor in the English faculty of Barat College of DePaul University, and served as Dean of Liberal Arts and Sciences for the year 2000-2001. Under the editorship of award-winning author and poet Jendi Reiter, Winning Writers guides writers to the contests and resources that will benefit their work the most. 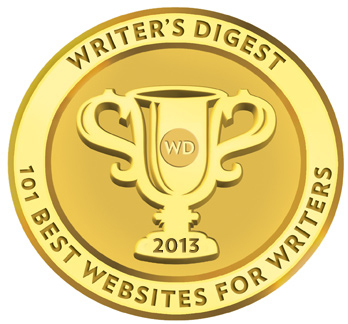 We have been selected as one of the "101 Best Websites for Writers" by Writer's Digest for nine years in a row (2005-2013). Our free email newsletter provides news about the best free literary contests and resources. Winning Writers was founded in 2001. Learn more at WinningWriters.com.